Apparently, I have no shame. 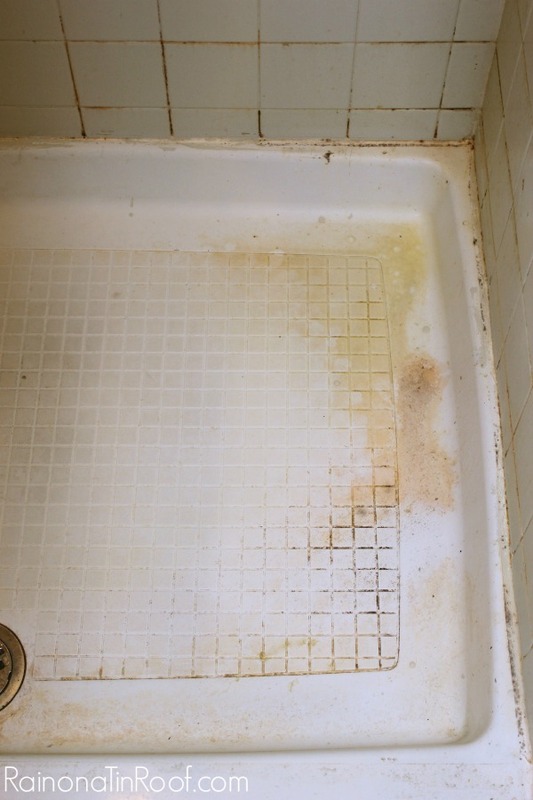 Because first I showed you just how dusty, dirty, and messy my house was and now I’m showing you just how disgusting Grunt Labor’s shower is was. To be honest, we had both lost all hope for this shower. Since we moved into the beloved foreclosure, its always been in pretty rough shape. I have scrubbed it with every cleaner and scrub brush known to man and it would remove the surface gunk, but not much else. I thought it was just permanently gross. 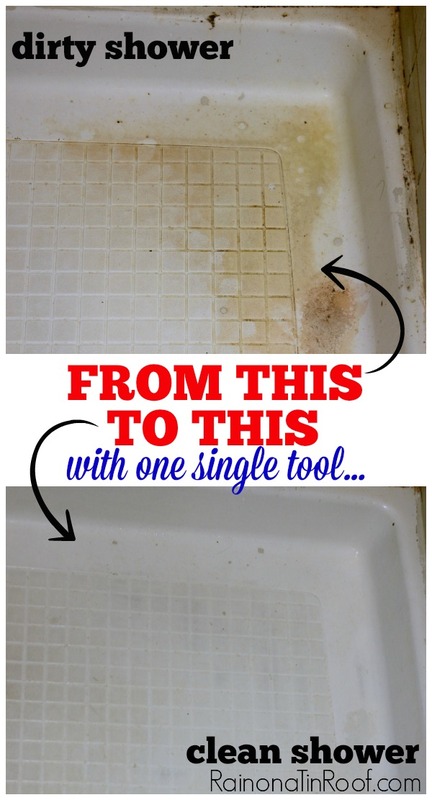 It took one single tool to clean this disgusting shower up. 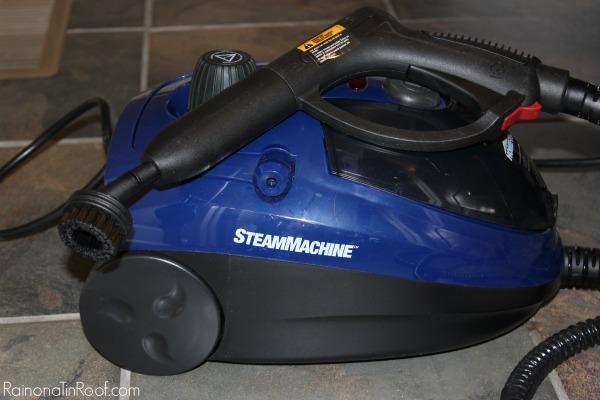 No chemical cleaners, nothing else, just good old fashioned steam. And its mainly just on the right side of the shower – the other side hasn’t ever been as bad. Weird. 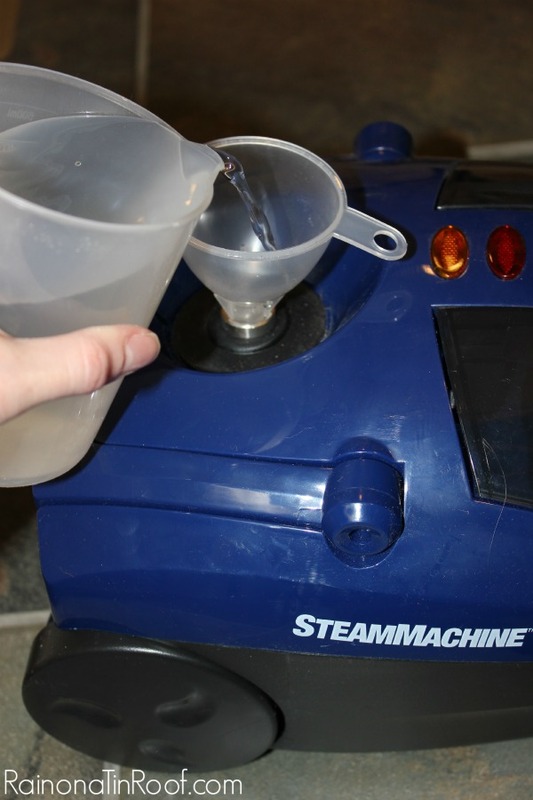 I started by filling the steam machine up with water. I let it heat up for a little while. And then I went to scrubbing. 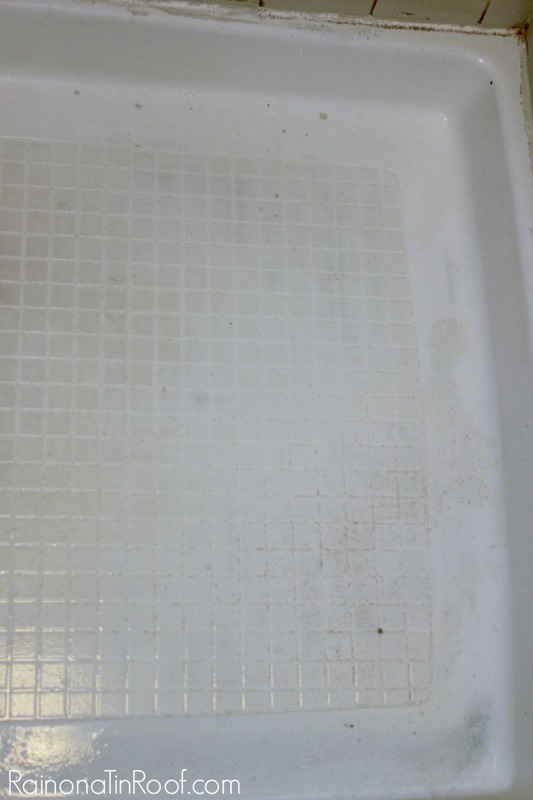 I was pretty surprised at how easily it just cleaned up the shower pan. The gunk kind of just melted off. There are two brushes, both came with the steam machine, that I used on the shower. I started with the small regular nylon brush (two nylon brushes come with it). The nylon brush took off most of the gunk. 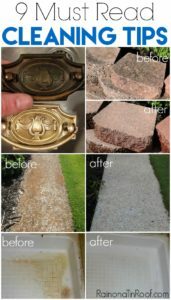 When I got to some tougher spots, I put on the brass brush. 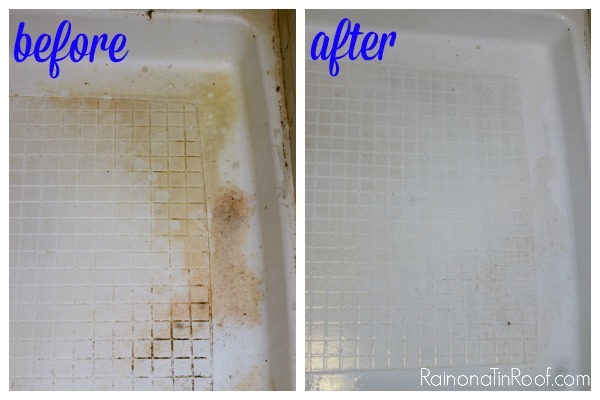 As you clean your shower, be sure to stop every once and a while and rinse away all the grossness that is collecting – you don’t want it to dry back onto the shower. Yep, that’s the stuff you want to rinse away. Ewwwww. I wasn’t really keeping track of the time, but I’m thinking it took me 20 – 30 minutes to really get the shower pan cleaned up good with the steam machine. I did not use the steam cleaner on the tile surround in this shower for one reason – its painted. When we moved into the beloved foreclosure, we painted both my shower tile and Grunt Labor’s. I was a little worried the steam may make some of the paint peel off in his shower, considering some of it already has. 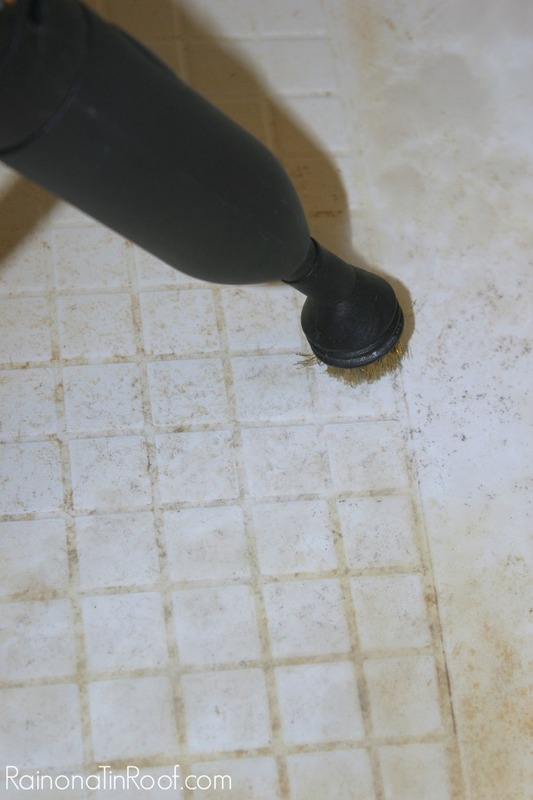 However, I have used my HomeRight Steam Mop on the marble tile in my bathroom floor and it has been awesome for cleaning grout. 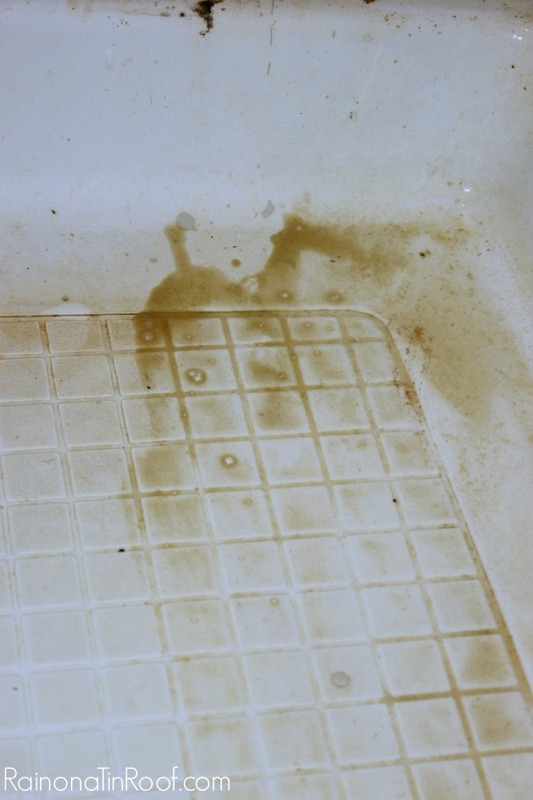 There was one spot in the shower pan that seems to be permanently stained. See right there in the bottom right corner? That’s the only place I couldn’t really get it clean. I’m totally cool with that though considering how bad it was before. Grunt Labor and I thought we would be replacing his entire shower pan and tile surround sometime soon. Now, we are thinking that we may be able to just replace his tile surround since the shower pan wasn’t as bad as we thought! Save that money! 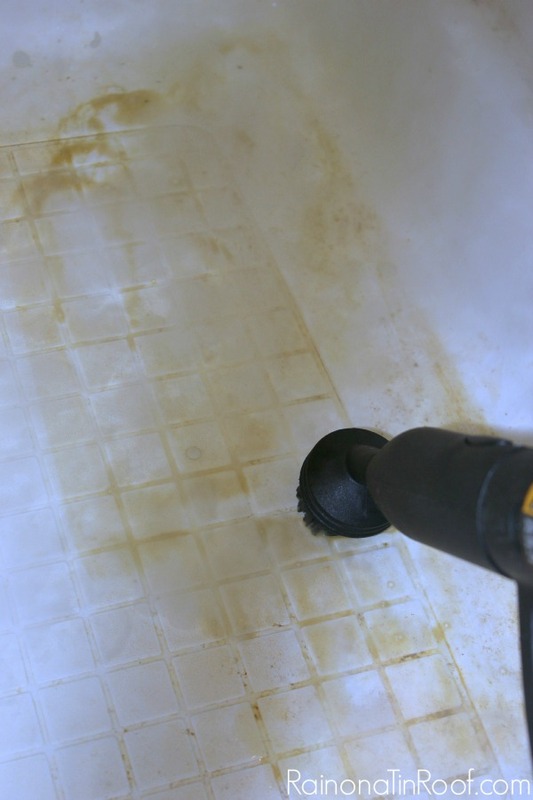 Have you used a steam cleaner in your bathroom before? Any tips to share? Disclosure: This post was sponsored by HomeRight. However, all opinions and disgustingly gross showers are 100% mine. I have a shower almost just like that! I need this so bad! Same there here I have used just about every product and that rusty residue just won’t come off! With two kids, three cats, and a dog, this would be a welcome addition to our house! I gotta say I hate reaching around behind the toilet to clean the floor back there. I go down the sides, around the front & leave the dusty gooey stuff at the back….humidity, dust bunnies & cat hair, it’s true! I can’t see it real easily, but I know it’s back there. That’s amazing! I’d definitely use this on my bathroom floor grout and also the car! I would definitely use it to clean the inside of my oven. I could totally use this on our showers too! Thanks for doing this giveaway! My fifty year old shower makes yours look like a spa at the Ritz! I could really use one of these steam machines… thanks for the chance to win! I would use it around the toilet area, I have 3 boys. I have five sons a husband and even the dog is male. Need I say more about the condition of my bathrooms? I would love this. Oh honey, I’m going to start praying for you! I’d love to use this in my entire bathroom! Definitely my shower. It wasn’t great to start with, but my husband comes home pretty dirty so it takes a lot of scrubbing to get it acceptable. I would love to try steaming it to get it REALLY clean. I want to win this sooooo bad! I have been dying to try this machine out! I would use it in my sons bathroom, and to clean up after our dogs! Thanks for a shot! I don’t get to cleaning the tub/shower as often as I should, and we get build-up. (hang head in shame) I’d definitely use it there!!! The dirtiest place in my home is the mud room. This would also be handy for that! Wow I really could use this. Jenna, Where can I get one of those? This would be great for us to have for our bathrooms. ALSO, question: Would I be able to use it to remove gunk off a motorcycle engine or wheels? Would anyone from the manufacturer be able to answer that question? Pass it along if you can. Great post & demo. Dad. Hey Dad! Right now, you can order one through HomeRight.com or Amazon, however HomeRight.com is offering free shipping on them right now. I would think you could use it to remove gunk from an engine, but am not 100% sure. I will ask my contact there! The dirtiest place in my house is definitely my kids’ bathroom. The finish has basically worn off the tub and the tile surround is disgusting. It really needs demolishing, but maybe the Steam products can help us hate it less until we can afford to renovate their bathroom! I would love to win one of these. I’ve been wanting one for several months now. Thanks for the chance! Sorry, hit send button too soon. I would use it on my shower. Wow! I want this machine! My husband’s basement shower, the kids’ upstairs shower and around all the toilets!! Obviously this is an amazing tool!! Your shower looks great! Our screened porch floor is a mess. Frankie, our 80 pound husky beagle mix, has tracked red NC dirt all over it. I need this steam cleaner!!! Girl, you have been hanging out in my shower! It’s exactly the same, only my bad spot is right in the center…I just don’t get it. 🙂 Nothing will remove the stains in that area…I’m not even certain this steamer would, either. LOL Thanks so much for this giveaway! The yuckiest room in my house is the guest bathroom. It was used by the kids of the former owner. Until now I had no hopes for this room. Now I do! Hope I win. I need to clean the grungy basement! Wow what a difference. 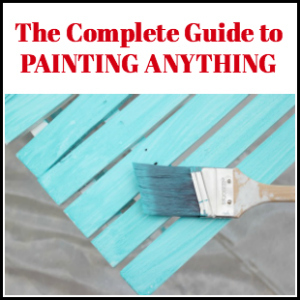 I have a steam cleaner and I love it, but you were right not to use it on a painted surface. 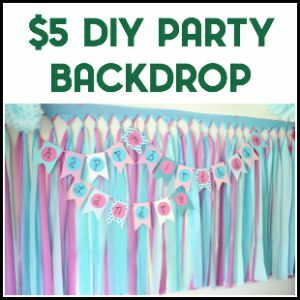 I used the steamer in my bathroom to remove wallpaper and it also made the paint on the ceiling bubble, so as soon as Christmas is over I get to paint the ceiling, but I use it on so many other surfaces from kitchen cabinets to carpet cleaning to floors, they are wonderful. Definitely the floor of the shower. I need one of these. I’m too old to get down on my knees to scrub! I have a shower that could definitely use this. And my husband’s work sink could probably benefit too. I’m right there with cleaning the showers- getting the gunk off the tiles would be so much easier with this machine! Thank you for the opportunity to win one!! I would definitely use this in my shower as well. What a great product. Thanks for sharing and the chance to get one for my own. I would use it on the downstairs bathtub. It takes a lot of energy and strength to clean it and I am getting too old to do a good job on it. In the bathroom for sure. Thanks! I love my steam cleaner. It amazes me how, with just steam and no chemicals it makes everything smell so clean. I never thought to use it on a stained bathtub we have but now I’m going to do it. Thank you for sharing this, Jenna! Definitely my bath tub and kitchen sink. I really, really need one of these. Our shower is almost that bad and I’ve tried everything too! 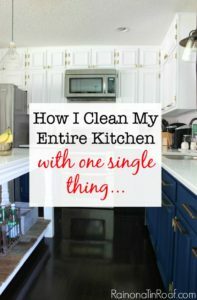 Think I could steam clean my husband and eliminate the need to clean the rest of the house since he is the one who dirties up the most? Oh my I need this, my shower is worse! The 75 year old tub! OMG..Teenage boys shower..ugh.. looks like it would work miracles!!! for some reason i hate cleaning the shower more than anything else in the house so this would be awesome! Definitely would have to say my bathroom as well. Hmmmmm. I think I would do the toilets and the concrete in our walkway! Fun tool, for sure! I cannot tell you how much I need this great tool! My, oh my. 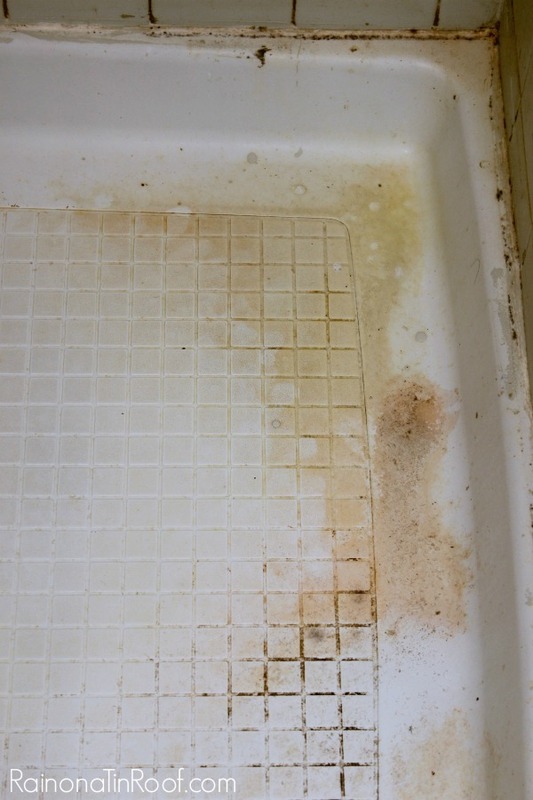 My husband’s shower is even grosser than that! I could definitely use a steam machine! My hand is RAISED to win this awesomeness! While the shower could certainly use it (we have r and get the iron/rust stains) I’d be most interested in trying it on the floor in the laundry room. I have 2 showers in this condition and to make matters worse, one has a glass surround. Yep. There is no way to hide the grossness. Totally embarassing. Imagine me virtually begging for this but in a non-creepy way b/c unless you are a child begging could seem creepy. We could use this on our toilets! 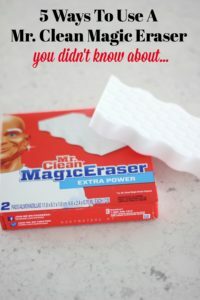 I would first use in our bathrooms, then I’d wonder if it would help get rid of the chalk that was drawn on our bricks in the back yard. Thanks for putting my name in the hat for the drawing! Your posts are very inspirational. I painted our kitchen cabinets after reading your post about the paint stick. They look great! Honey, Does this require distilled water or can it come right out of the tap? Dad. It can come right out of the tap. I’d use that on my tile floors in my kitchen. They are ALWAYS gross. I would love one of those. We have a well and hard water and my shower gets an orange stain all the time. That is amazing! Seriously? I cannot believe the difference! Love HomeRight products. My laundry/cat litter box room! I would definitely start with the shower in our master bath. Nothing seems to get it clean. Thanks for the chance to win such a great product. ohmygoddd i’d use it literally everywhere. first place would probably be the spot in front of my front door that my cat decided for a few months was his new litter box. 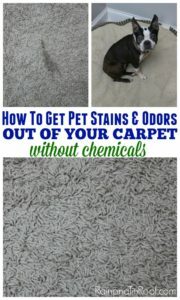 yeah hardwood floors and cat pee = nasty stains. i think i’d *happily* clean my shower with it too. i hatehatehatehate cleaning the shower by hand but i lovelovelovelove how it looks once it’s clean. yay steam! I would use this in our shower we have old tiles that are difficult to clean. I would use mine in the bathtub because mold keeps coming back. This is unbelievable Jenna!! I just got one and can’t wait to try it- am going to use it to hopefully tackle some serious wallpaper removal. 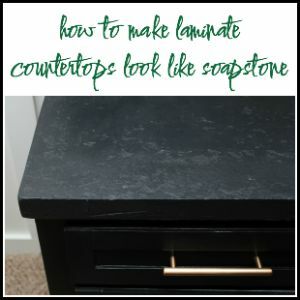 I’d use this in our guest bathroom – it could definitely use some cleaning! Oven needs a steam cleaning!! I’m sure the dirtiest place that could use a good steam clean would be my kids bathroom tub. Incredible!! I definitely need this! I sure could use this for our shower and the bathrooms tile floor. My new house has an ancient claw foot rub with years of caked-on grime. This machine would definitely help. I also have a tub that could use this. Thanks! 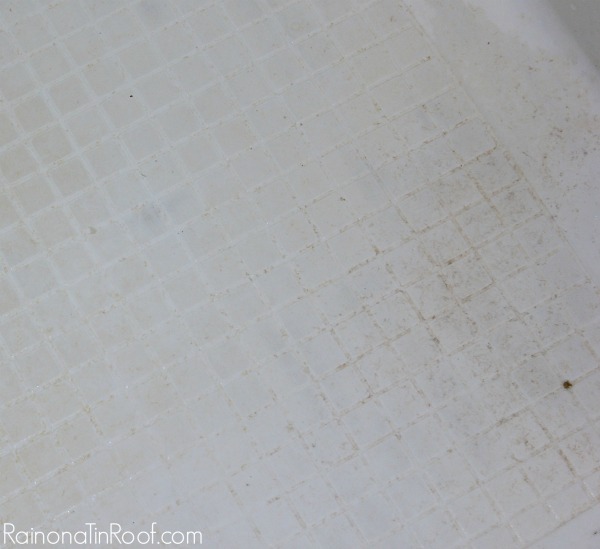 I would try it on the grout in my bathroom floor, I believe it was white when we put in on and now it is kinda gray and a real pain to clean. I’d try the Steam Machine on our garage floor. Ohhhh….my kitchen “brick” floor could sure use this! I have a steam cleaner for my floors – but I could use this on everything else. Dirtiest place in my house is my floor. My cats make such a mess when they eat. The dirtiest place in the house is the bathroom that really needs a steam cleaner. 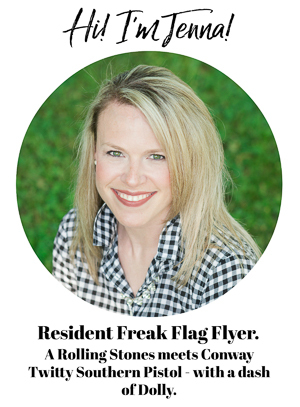 The winner was Donna W. – I announced it on social media, but forgot to update here!! Sorry, Lauren! This is visible proof of how powerful steam can be as a cleaner. The difference is amazing! Need and want one so so so bad!!!!! Please draw my name! Great job on your bathroom! 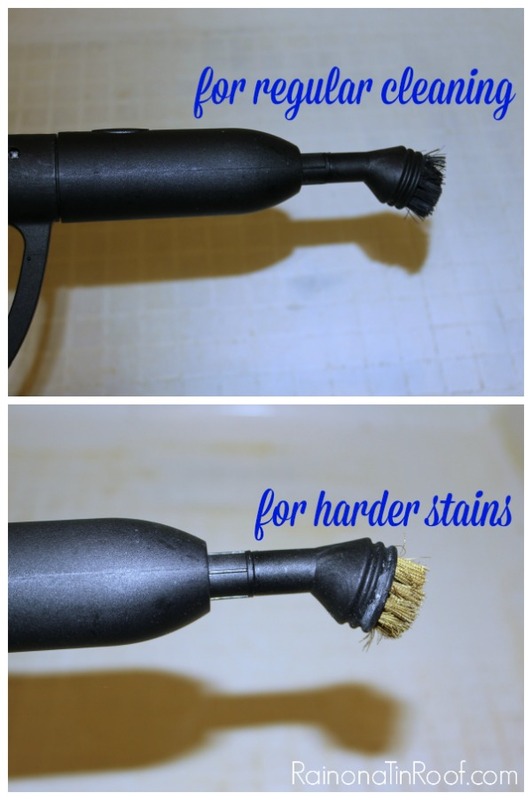 I know this post is old, but try Bar Keeper’s Friend and a stiff brush on the stubborn part. That is a great idea, Lori! Thanks! Thanks, Linda! Haven’t heard of this stuff before. I’ll have to look into it! I certainly have needed this at a couple of points in my life! Thanks for sharing at Over the Moon. Love my steam cleaner for so many things!